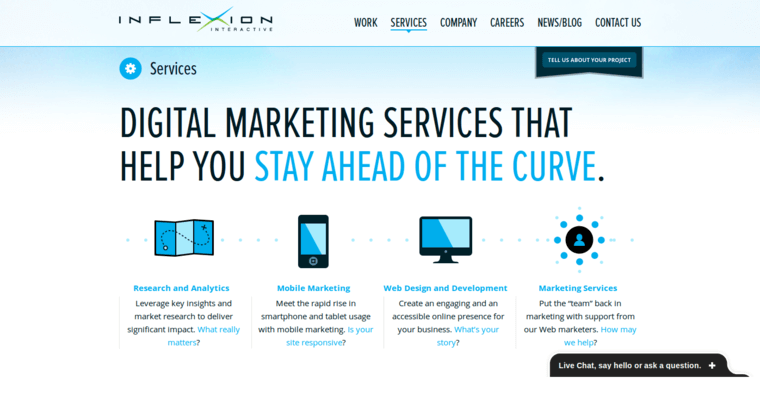 Inflexion Interactive is a digital web design marketing agency that works with clients to create revenue, results and brand value. The agency's focus is on research and analytics, mobile marketing, web design and development, and marketing services to help companies stay ahead of the curve. 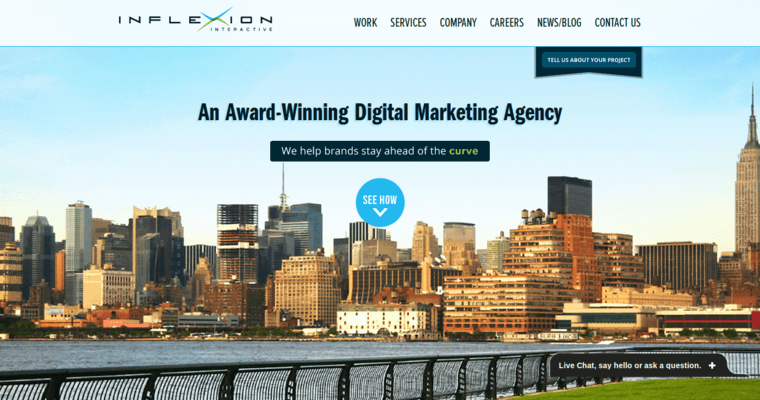 Inflexion Interactive's talented team of professionals strategizes, perform and manage all of a company's digital marketing requirements, whether it is a mid-sized company or a Fortune 1000 business. The agency's team uses the most recent technologies to analyze a client's online presence, increase their marketing and build upon their success. 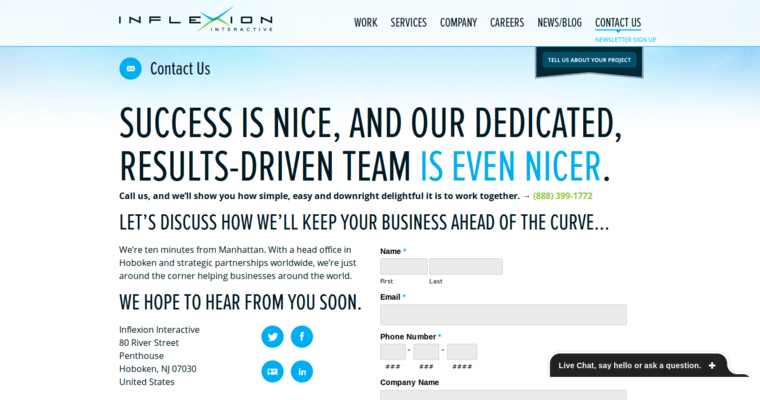 Regardless if a company is launching a new website or increasing an email campaign, Inflexion Interactive is there to provide assistance.